Eric Cropper’s RAF career started in 1943 and ended in 1968. It covered a period when the navigation of aircraft changed from astro, dead reckoning and drift bearings all plotted by pencil on charts, to press-button radio and satellite information that can instantly pinpoint a position anywhere on the planet to within 5 meters. The then vital skills of a good navigator are now mostly redundant. Ships, aircraft, trucks and cars seldom use maps let alone carry a navigator. This autobiography by one of the RAF’s top exponents of both the ancient and modern forms of the art explains in considerable detail how this rapid and revolutionary improvement occurred in the air. 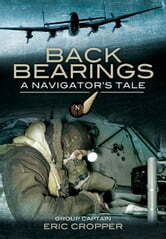 After his initial training, Eric started his operational career as navigator in a No 103 Squadron Avro Lancaster. During his tour, on 7 July 1944, the squadron took part in a raid on Caen. Immediately after releasing their bombs, the aircraft was struck from astern, losing the tail gunner and turret and a large part of the tailplane. Having regained control from a 3,000 feet dive they nursed the stricken aircraft back to England where it crash landed at Tangmere. They later discovered that they had been hit by another Lancaster. Having completed his tour of operations, Eric was posted as an instructor, completing the Staff Navigator Course. From 1946 to 1948 he moved to HQ Bomber Command on the Air Staff and then moved to the Empire Air Navigation School as a specialist Navigator. His later career included research and development at RAE Farnborough, an exchange posting with the USAF in Alaska, a staff position at RAF Cranwell, Station Commander at RAF Gan in the Maldive Islands, the command of a transport squadron and a Staff position at the RAF College of Air Warfare. 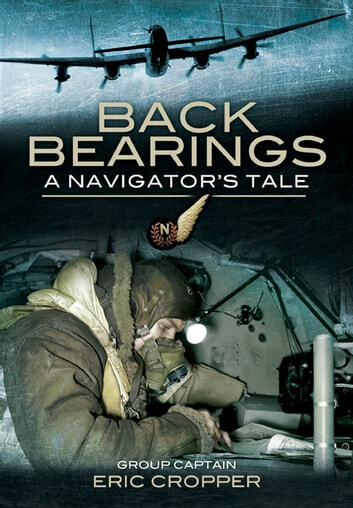 This is a fascinating memoir of one of the RAF’s senior navigational experts that explains both service life and the revolution in navigational techniques that took place during his service career.